Since Apple introduced iBooks Author and the concept of an iBook I have eagerly awaited their arrival on the desktop. The ability to access the same content as available on my iPad was great enough but the promise that all my highlights and notes would seamlessly sync between devices was the cherry on top. Mavericks promised this integration and more. What was the more? Well the ability to preview a work in progress iBook without the need to tether an iPad to the development machine is fantastic! 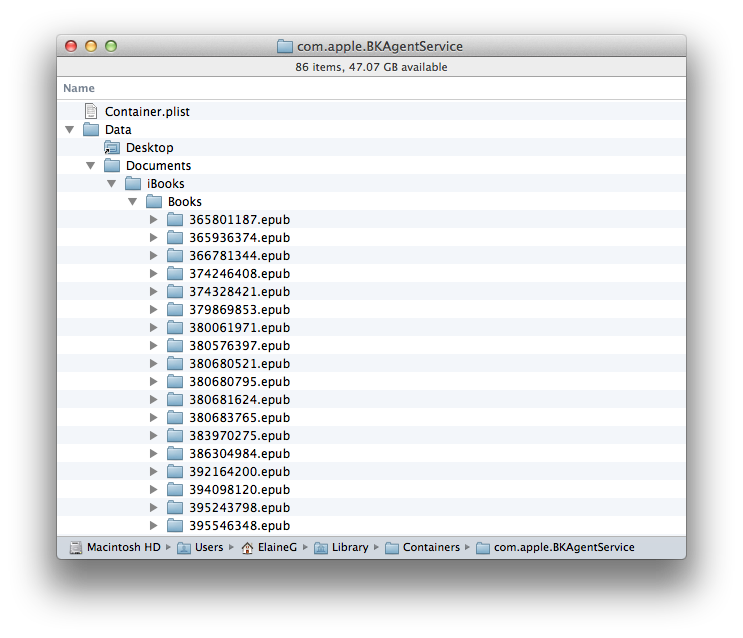 So why is iBooks on Mavericks a problem? It’s not the functionality per se contained within iBooks but rather the implementation of it and especially the transition from having books managed in iTunes to having them managed in a completely new application. At best you will lose a potentially serious amount of disk space in the transition at worst you could lose your entire library … seriously. 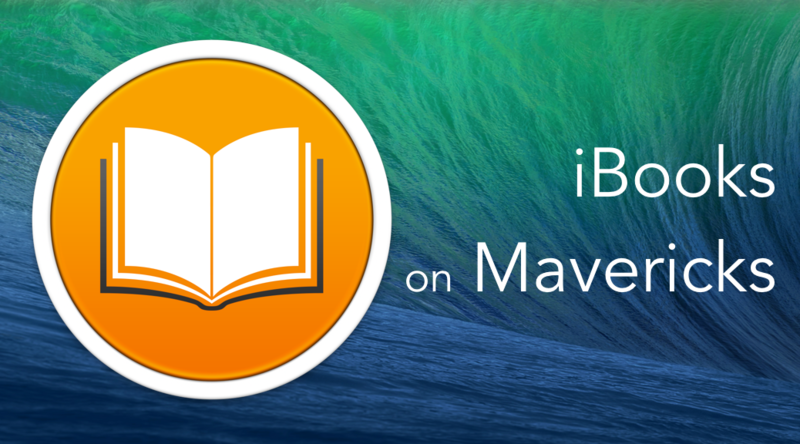 Would Mavericks leave the books in their current location? Would it move them to a location of my choosing? Would it unilaterally decide to move them to a location of Apple’s choosing? Surely not? I had hoped Apple wouldn’t take the high-handed approach of the third option especially given that I’d feared that location would be my small system drive. Moving the books isn’t the only huge change to eBook storage in transition from iTunes to iBooks. The books previously organized by author and book title in the file system are under the new system now a random collection of incomprehensible numeric names. 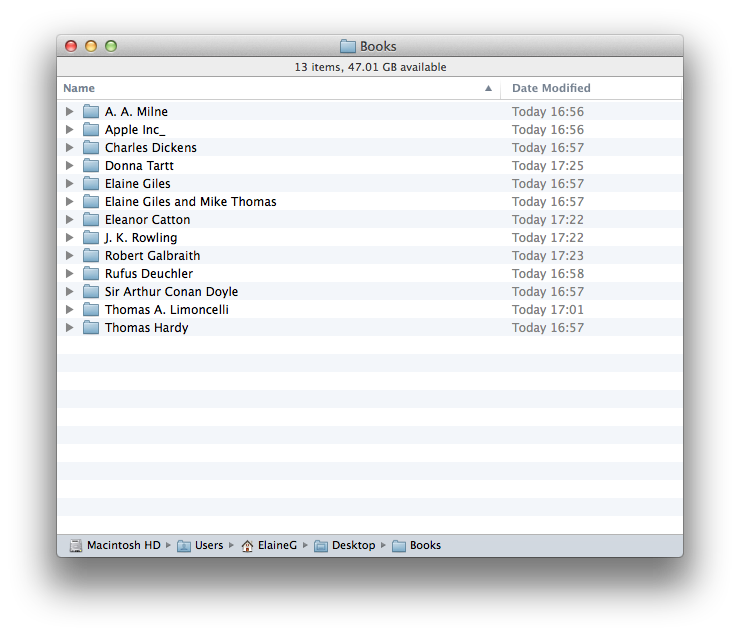 What made the decision to force me to use my internal hard drive for book storage even worse is the fact that during the transition from iTunes to iBooks the ePub files are uncompressed into more incomprehensible numerically named folders the contents of which are thus exposed to the file system. The main effect of this is increasing the amount of storage required for a book collection by, in my case, almost 50%. Uncompressing the contents does expose them to the Spotlight search engine of your Mac meaning you have full text search but accessing the results of such a search opens the individual file containing the search term in the app associated with the relevant file type and not the eBook in it’s fully constituted format. 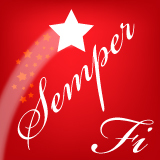 On a more positive note for general compatibility my testing revealed that dragging and dropping an .epub file out of iBooks does reconstitute it as a genuine file with an .epub extension and the file name is the title of the book. iTunes supported the editing of meta data in books via the standard Info dialog box. This new iBooks app lacks any ability to edit metadata, so there’s no way to change images, genres, names, authors, publication dates or indeed anything else. Despite the fact that eBooks are now viewed and managed via iBooks it is iTunes where the synchronization options reside, exactly the same as before iBooks arrived on the desktop. While this has the benefit of a single point of control for iOS devices it does mean managing eBooks on Mavericks requires two apps instead of one. As has happened before with Apple app updates the first iteration of a new app is often lacking what keen users consider to be essential features. The abject horror with which some professionals greeted Final Cut Pro X comes immediately to mind. Doubtless future updates will address at least some of the issues outlined. Personally, the need for a user specified library location is my number one request. I stopped to use iBooks. I’m waiting for an update. I feel your pain! I am no longer using iBooks for PDfs or ePubs and I’m only downloading books from the iBookstore as I need them rather than having my entire library available as previously. For me this a serious backward step in workflow and like you I eagerly await an update.